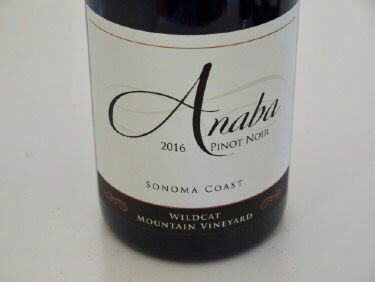 Anaba ("anna-bah") takes its name from the cool, upward-flowing breezes called anabatic winds that frequently stream through the estate vineyard during the warm summer months. These unique air currents make the vineyard more temperate and slow down the ripening process. To take advantage of the air currents, John is believed to be the first vintner in Northern California to harness wind power which supplies supplemental power to his tasting room offices and case goods storage. Plans are to harness solar power and add more turbines when a new 60,000 case winery is built on the estate vineyard property. Proprietor John Sweazey fell in love with wine while visiting Napa Valley as a Stanford undergrad and later while traveling in Europe for nine months a few years after college. After starting and running a real estate finance company, he longed to settle in the Sonoma wine country to grow grapes and make wine. He sold his business in 2003 and found a winegrowing property in western Carneros. The initial Director of Winemaking and Vineyard Operations and General Manager was Jennifer Marion, a graduate of University California at Davis. She had a background in both winemaking and viticulture, having worked with Napa Valley-based Crop Care Associates. In 2015, Ross Cobb (COBB Wines) and Katy Wilson (LaRue Wines) became consulting winemakers. In late 2014, Ross Cobb (COBB Wines and Hirsch Vineyards) and Katy Wilson (La Rue Wines) were appointed new winemakers. The pair met while working at Flowers Vineyard & Winery and in 2012 formed a winemaking partnership. 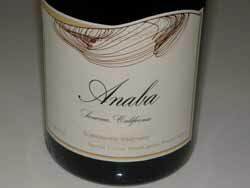 The portfolio of Anaba wines are sourced from Rhone and Burgundian varieties grown at the estate vineyard in Carneros and in other vineyard properties in Sonoma County. 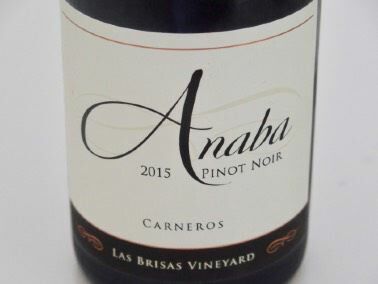 The first wines were released in early 2009 and are priced under $30. 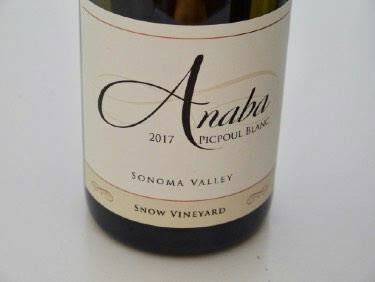 The wines are sold on the website and at the tasting room located at 60 Bonneau Road at the intersection of Highways 121 and 116, just outside the town of Sonoma (open daily). 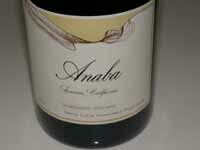 The tasting room is a converted farmhouse that stood on Anaba's J McK Estate Vineyard property.